A tangible visualization of human relationships through the exploration of familiarity conveyed by the sharpness and nested nature of the sculptures. As we move through life, most of the people we encounter are a “blur.” Meetings with strangers go unregistered or even unnoticed, but as we connect and become closer to each other, those layers of anonymity are peeled back. Our mental pictures of each other become clearer in the mind, with details and nuances standing out more and more. 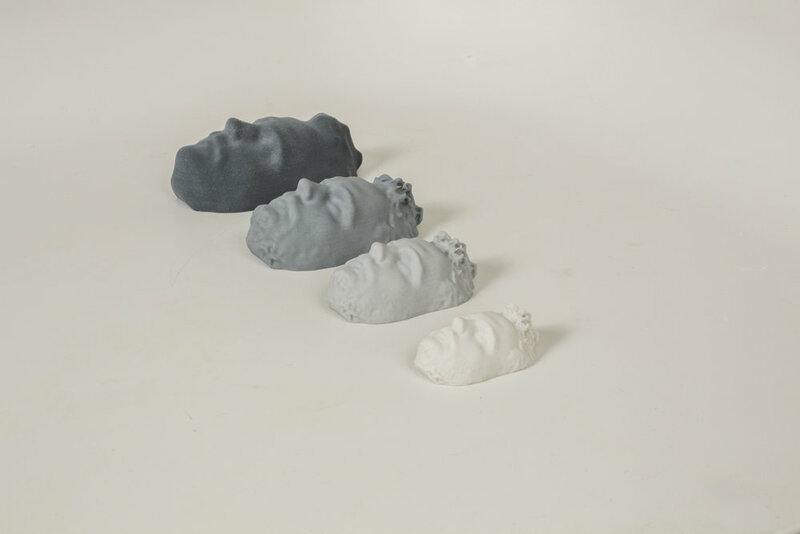 Core is the visualization of that process of definition, through a series of four 3D printed masks, nested on top of each other. They make tangible the ever-changing complexity of relationships by starting blurry and nondescript, and narrowing in and becoming more clear as relationships and connections become more intimate. 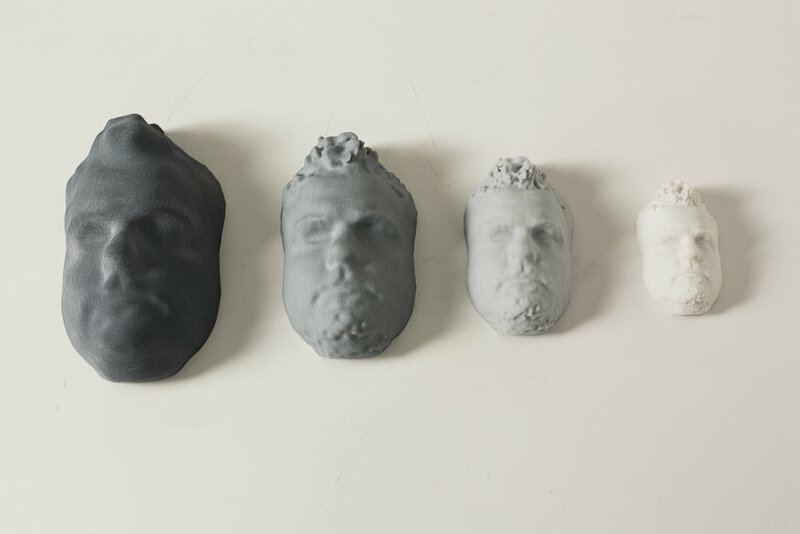 The masks were created by using the method of photogrammetry. 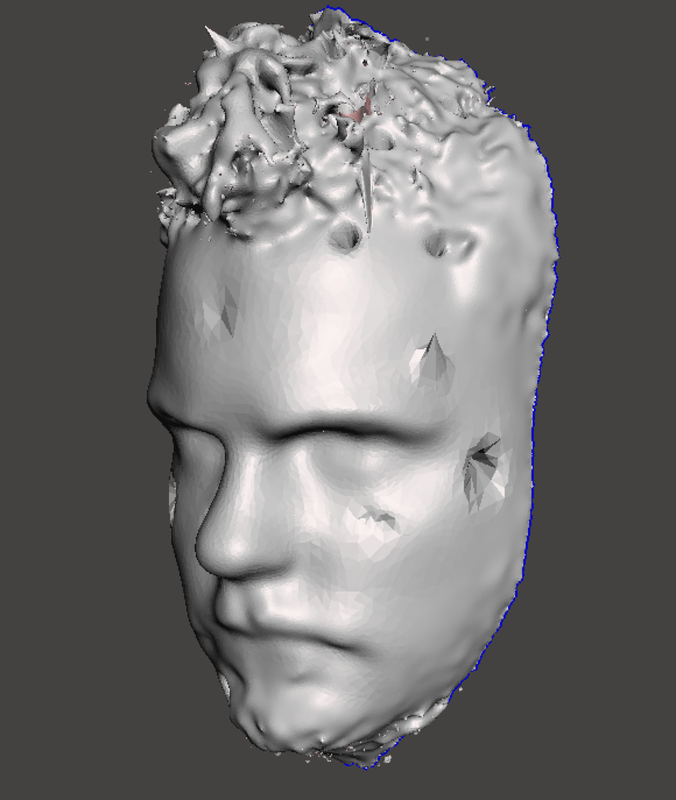 It consists of hundreds of pictures taken from all angles on the model, and then piecing the pictures back together in a 3D model that later on gets ready for print.